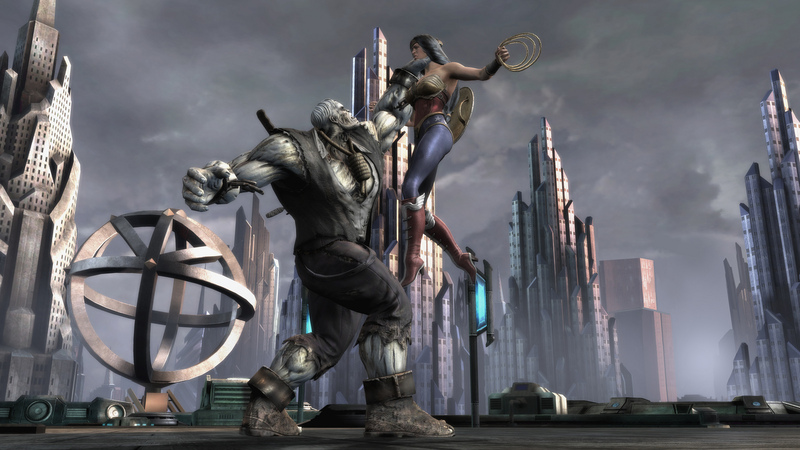 NetherRealm has been busy lately with its latest title, Injustice: Gods Among Us. Costumes and DLC characters have been screaming out of the gate, and the developer shows no signs of slowing down, particularly with apparent signs of a second season pass on the horizon. Fan site MKIceVsFire knows a guy who has a pretty good track record for leaking information from the developer, and was apparently responsible for leaking the true rumor that Doomsday was a character in the game. This time, he’s gone digging into some season pass data and found the following pairs of letters: MM, RH, PG, SZ. The best guess is that these stand for Martian Manhunter, Red Hood, Power Girl, and Sub Zero. Take this rumor with the saltiest grain of salt you can find. The video has been updated to say that Ed Boon debunked the latest rumor, though there doesn’t seem to be anything online about that. While the first video of Round 1 of DLC does hold some water because it actually shows code containing the names Lobo, Batgirl, Zod, and Scorpion (and as you know, is already two for two), there is pretty much no evidence this time around. What are you thoughts on these characters, if true? Do we really need even one, let alone two, characters from Mortal Kombat? Tell us in the comments, or discuss Injustice in our forums!